Is Russia trying to be another world terror country that will be disturbing the peace of the rest of us? The US Navy is worried that Russia might be planning to cut the undersea cables that carry 95% of internet traffic. 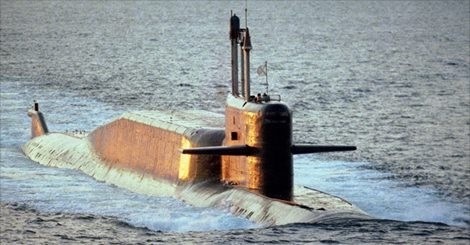 The presence of Russian submarines and spy ships near most of the undersea cables carrying majority of global Internet communications has U.S. officials concerned that Russia could be planning to sever the lines in periods of conflict, the New York Times reported on Sunday. Sources say already there was no evidence of cable cutting but that the concerns reflected increased wariness among U.S. and allied officials over growing Russian military activity around the world. The Times quoted naval commanders and intelligence officials as saying they were monitoring significantly greater Russian activity along the cables’ known routes from the North Sea to Northeast Asia and waters closer to the United States. “It would be a concern to hear any country was tampering with communication cables; however, due to the classified nature of submarine operations, we do not discuss specifics,” U.S. Navy spokesman Commander William Marks told the Times. Naval officials said the ship and the submersible craft were capable of cutting cables several miles (km) deep beneath the sea. The cables carried more than $10trillion daily in global business and more than 95% of daily communications.